A layer of effortless chic, lavished with botanicals and trimmed with bright embroidery and fringe. 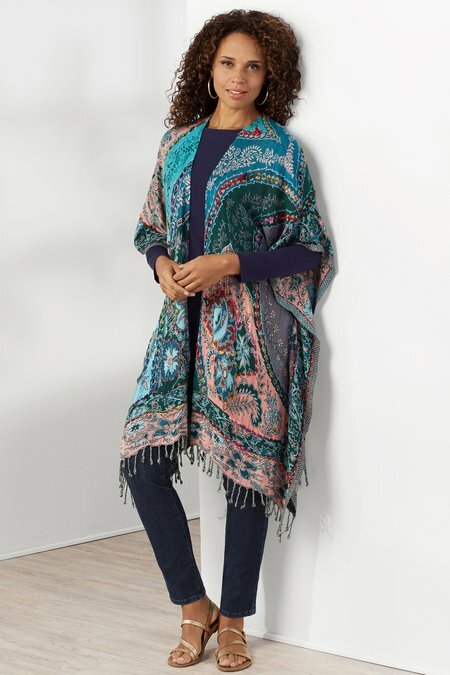 In brilliant shades of teal and terracotta, our ruana gracefully drapes the body, with tacked sleeves and a buttonless placket. Misses 34" long.